Two days later Dilara manages to track down former combat engineer Tyler Locke on an oil rig off Newfoundland. Her helicopter transport goes down well short of the oil rig’s landing pad and Dilara and those aboard nearly drown. No sooner is Dilara safely on the rig than she convinces Tyler the crash was no accident. 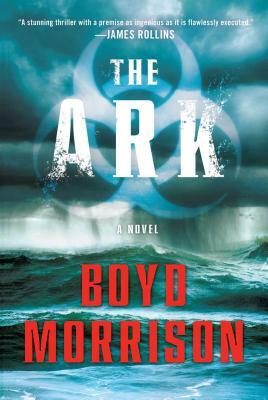 Tyler agrees to help her uncover the secret behind Noah’s Ark and, more important, her father's disappearance. As the picture begins to come into focus, they realize they have just seven days to find the Ark before its secret is used to wipe out civilization once again. Boyd Morrison has a Ph.D. in industrial engineering and has worked for NASA, Microsoft’s Xbox Games Group, and Thomson-RCA. In 2003, he fulfilled a lifelong dream and became a Jeopardy! champion. He is also a professional actor who has appeared in commercials, stage plays, and films. He lives with his wife in Seattle.